Wairau Valley School is a small, rural, full primary school, set in a central position in Wairau Valley township, approximately 25kms west of Renwick, 40kms west of Blenheim. The school is Decile 8 with a current roll of 43 children (as at the start of Term 1 2019). We cater for children in Years 1 to 8. 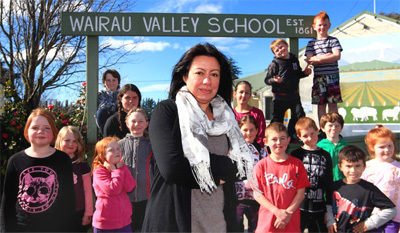 Wairau Valley School’s curriculum has an emphasis on progress and achievement in literacy and numeracy. Teachers follow a school based inquiry model to ensure coverage of other learning areas. Developing our students’ key competencies is seen as essential, and these are integrated within all teaching and learning programmes. Learning opportunities using real-life experiences form a large part of our curriculum. We make use of our surrounding environments and community resources. With low student/teacher ratios individual student progress is closely monitored and supported, additional support for learning and extension is provided and individual programs developed as needed. Wairau Valley School is lucky to have a swimming pool, astroturf tennis court and large sports field which many members of the local community enjoy using outside of school hours. Professional development supports quality teaching. Teachers participate in professional development that reflects current best practice in New Zealand schools. All classrooms have wireless internet access and the school is fully networked. 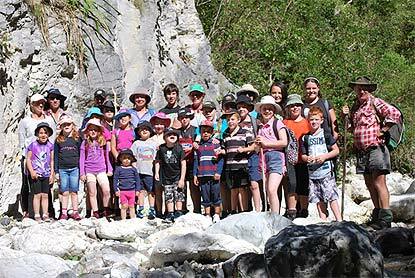 Pupils of Wairau Valley School regularly go on field trips and camps, which together with classroom learning, provide for a well-balanced learning environment. An effective Enviro-schools programme also provides further enrichment to pupils, with a productive vegetable garden on site. All parents are encouraged to be part of and share in the learning progress of their children, through formal and informal meetings with teachers and sharing knowledge and concerns. The school encourages transition to school visits for pre-schoolers during the term before starting school. Senior students are provided with leadership opportunities and responsibilities. Year 7 & 8 students attend Technology at Bohally Intermediate for 20 full days each year. My name is Karen O’Donnell and I am the teaching Principal at Wairau Valley School. I commenced this role at the beginning of Term 3 2014. I have been so impressed with the wonderful team of educators in the school who are absolutely passionate about children’s learning. At Wairau Valley School I want children to continue being inspired and to grow up knowing that learning is fun, which means that school needs to be a fun place to be. People who enjoy learning are typically those who are able to dream and bring these aspirations to reality, and in turn end up being successful and satisfied in their adult lives. Children at Wairau Valley School arrive enthusiastic about learning and this is something that I will be striving to maintain and strengthen. A big part of being successful in rural education is access to technology so that we have an appreciation and an understanding of wider New Zealand and the global context that we live in. This school is fortunate to be well equipped with technology and has recently joined N4L (Network for Learning) which means ultra-fast broadband is connected. Wairau Valley School is all about sound, quality programmes to support children’s education and enjoyment for learning. Please do not hesitate to give me a call at the school – I am always happy to have a chat and my door is always open. Click to view pdf. Contact the office for older newsletters.